This is the impressive new Audi Q2 which is aimed at younger buyers to help them step into the world of Audi with an excellent compact SUV. The Q2 has impressive levels of functionality and practicality as well as a great look. 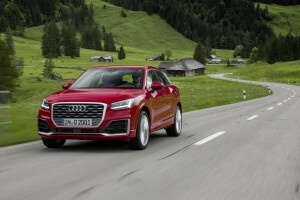 Audi has raided the larger Q models to install popular additions such as a head-up display, the optional virtual cockpit – which is worth adding – and parking assist. Other items that have been pinched include pedestrian recognition and the accident pre-sensing system. The Audi Q2 will also have adaptive cruise control, lane departure warning, lane keeping assist and traffic jam assist as well as traffic sign recognition. However, there’s also an impressive infotainment system which enables online media streaming. The Audi Q2 was unveiled at this year’s Geneva motor show and is their first entry into the compact SUV segment with a great production that fits nicely beneath the impressive Q3. There’s more headroom in the Q2 than in the A3, says Audi, which is down to the new roof line which also enables the seating to be higher. The boot is also a useful 405litres in size and with the rear seats folded flat that grows to 1,050litres. At launch there will be two four-cylinder engines available, a 1.6 TDI producing 115 bhp and a 1.4 TFSI producing 150 bhp – though this will also have cylinder-on-demand technology to boost economy with the engine system closing down cylinders that are not needed. For those interested in the Audi Q2, other engines are set to be added to the range include a 1.0 litre TFSI with three cylinders producing 115 bhp and a 2.0 litre TDI unit producing 150 bhp. The engines will be coupled to a choice of a six speed manual gearbox or the firm’s dual clutch automatic transmission. 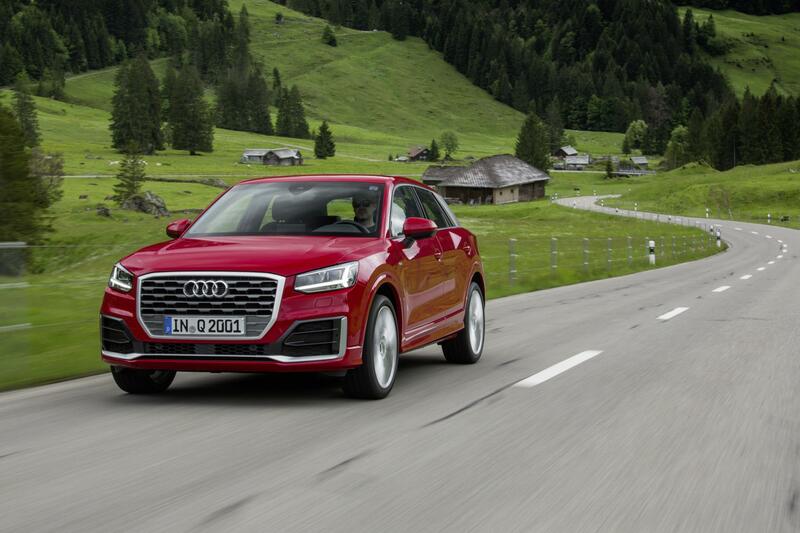 Another feature coming next year will be the option of the firm’s all wheel Quattro drive. The Audi Q2 will cost from £20,230 and it’s available to order from August with the first models being delivered in November. This entry was posted in Car Leasing, Cars, Crossover Cars, New Cars and tagged Audi Q2 by Steve Lumley. Bookmark the permalink.